The number of wallpaper for pasting of rooms. Definition of square walls in view of doors and Windows. 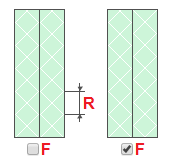 Calculate perimeter of a premise.